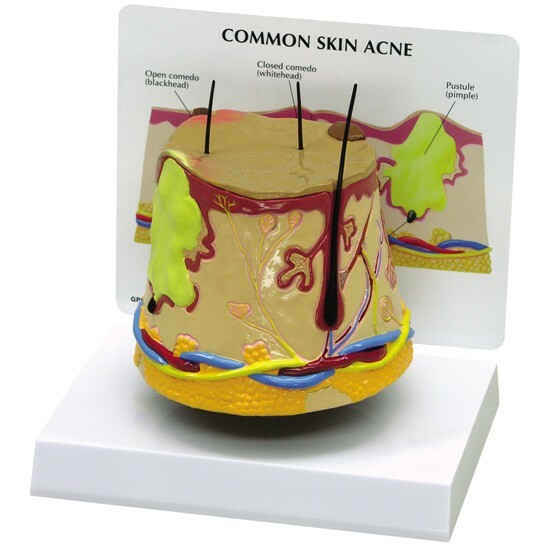 Enlarged two-sided skin cross-section. 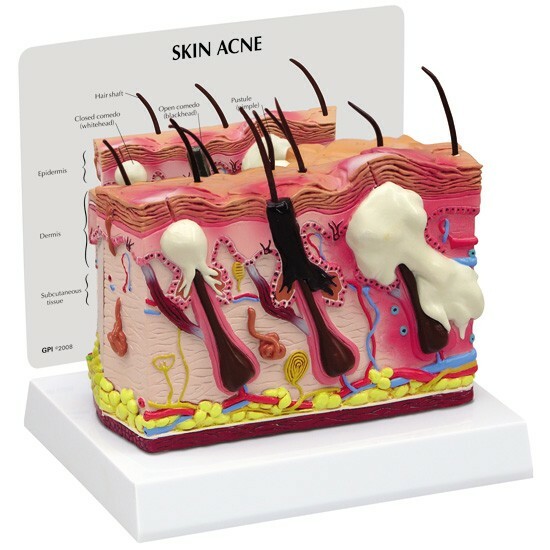 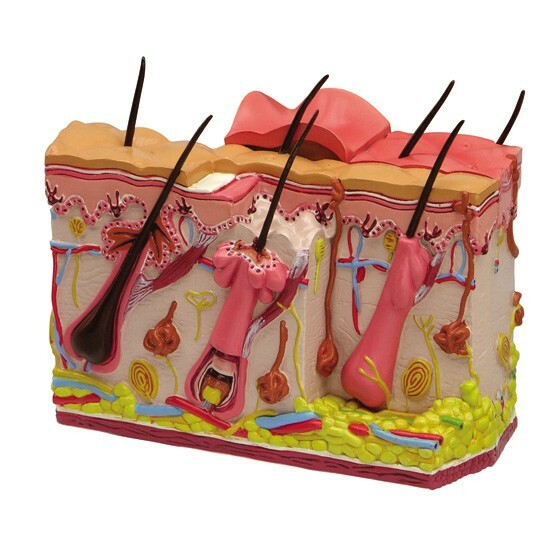 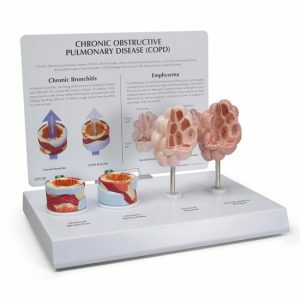 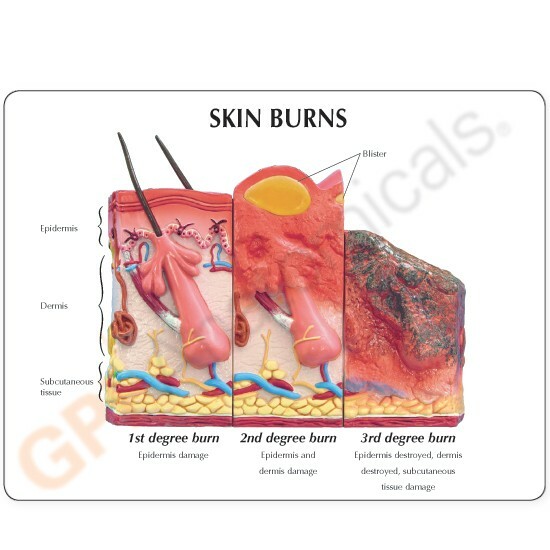 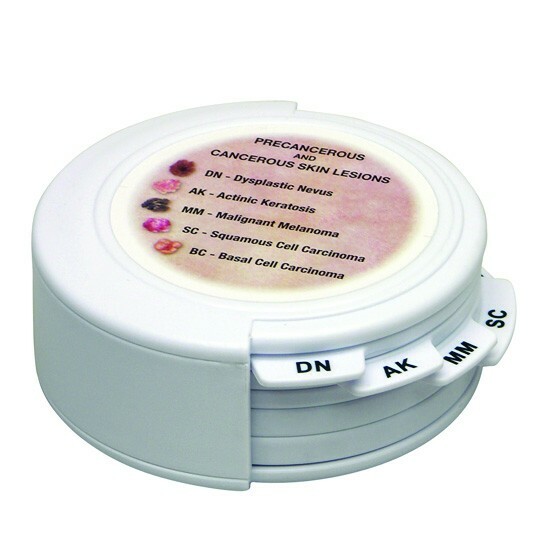 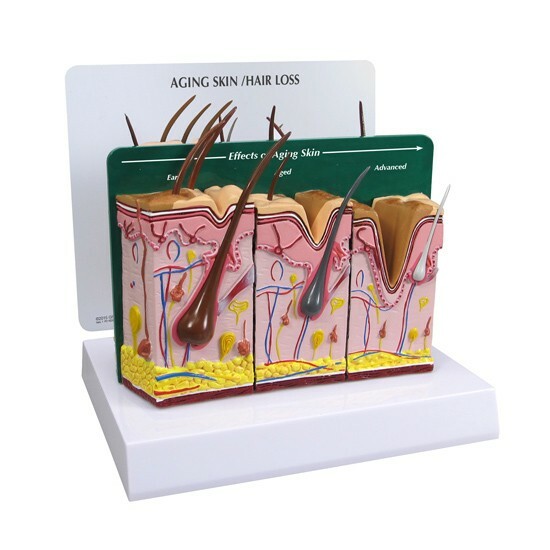 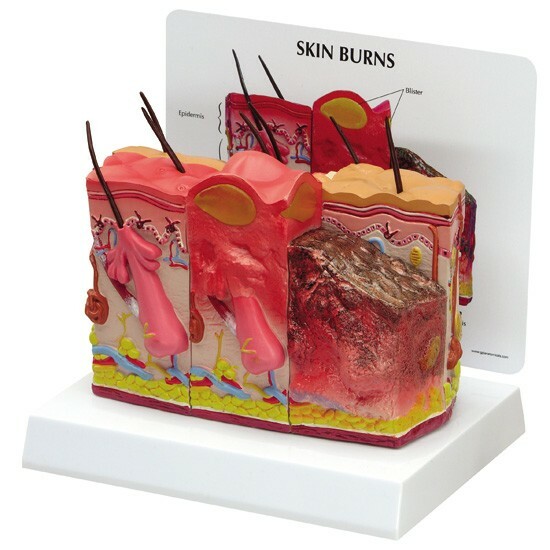 The skin burn model shows indication of first, second and third degree burns. 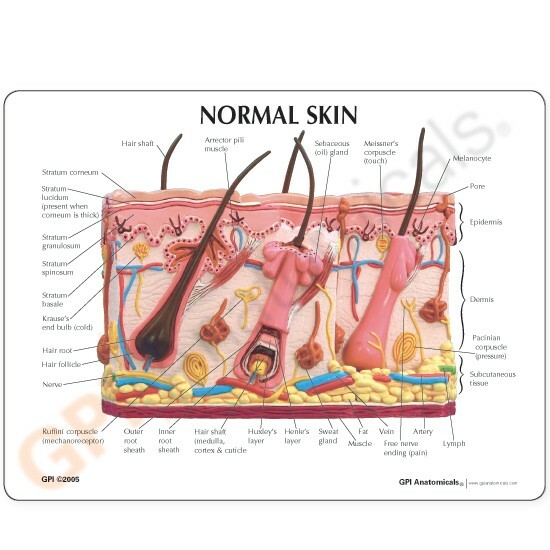 The reverse side illustrates normal skin anatomy.